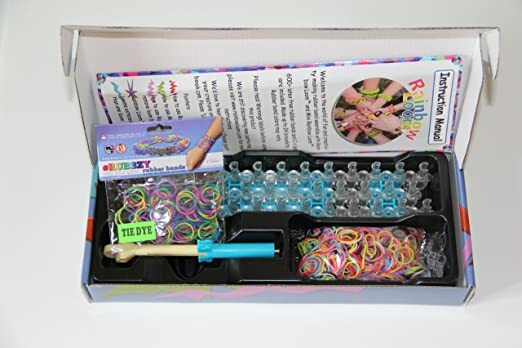 Rainbow Loom Kit and Tie Dye Rubber Bands $19.99 was marked at $49.99. Package includes: Rainbow Loom®, Mini Rainbow Loom®, hook, a bag of c-clips, instruction manual and 600+ mix rubber bands (colors may vary). Includes ONE package of SILICONE TIE BYE BANDS as a BONUS - Color choices VARY! Rainbow Loom® products are BPA-free, Phthlates-free, Lead-free, and Chromium-free!